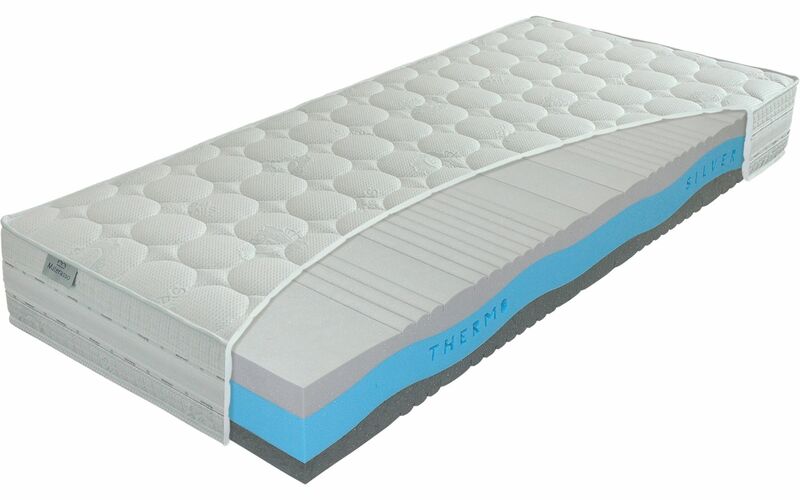 A firm mattress for couples with ThermoSilver foam and the capacity for thermal regulation. The zones that come into contact with the body create an ideal climate. This type of foam is made of micro-capsules known as PCM, which is a material that changes its state. These thermal-intelligent accumulators keep your temperature at a constant level. The sleeper can therefore enjoy a regenerative, healthy and refreshing sleep. The technology of adding the silver uses the antibacterial properties of silver, meaning that it actively fights bacteria and maintains the cleanliness and the hygiene in the mattress. The core of the mattress is made of high-density HR foam. The underside, meanwhile, consists of Swiss EvoPoreHRC foam. This foam is highly elastic and shows revolutionary stability of all parameters even during the changes of temperature and moisture.